Whether the change of the structure of your site is partial (conservation of the same domain name) or total, you will have to modify partially or totally your URLs and your internal mesh. This is not trivial for search engines. To keep your SEO positions, sometimes dearly acquired, you must follow a four-step procedure. Whatever the motivations that have led to the redesign of your website, you must absolutely take into account the impact of the redesign on the SEO positions of your site. If not, the consequences in terms of traffic can be dramatic. If you choose to make a partial or complete overhaul of your site, you have the right to expect a return on investment (ROI). And, you are right! In this perspective, integrating SEO into your thinking is essential. SEO is a long, very long job. The recurring improvements in Google’s algorithm make the task of the SEO increasingly complicated by the way, and therefore increasingly expensive. Having to start all over again because of a redesign not or badly thought, it is a pity. You can consider some good SEO services within your budget for making things easy. Before the redesign, it is important to perform a minimal SEO audit of your site. This step is fundamental and will be the basis from which you will think about redesigning your site. The findings of the audit should guide the change decisions to be incorporated into the new version of your site. The position of your pages in Google and the keywords. From this complete audit of the site, the content of the redesign will be precise. However, you can hire affordable SEO services to get the website SEO audit done. Backlinks play a crucial role in the field of SEO. Google sees them as the surest sign of the popularity and therefore the relevance of the pages of your site. Backlinks are, if not the only, at least the main criteria for ranking a site in Google. This brings us to the third step: Managing 301 redirects. 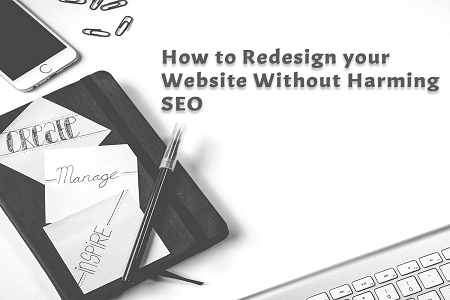 By redesigning your site, your URLs will probably be changed. If you do not do the necessary redirection work, long and painful work it is true, users who will go to your old pages will come across a 404 error. The error 404 is harmful both of course for the experiment user but also for SEO. The solution that would be to leave behind your old pages and create your new pages by duplicating the content of abandoned pages is the worst. Once again, Google hates duplicate content and penalizes it severely. 301 redirects are needed! Finally, it is essential to properly analyze the evolution of your SEO in the days, weeks and first months following the migration. Normally, these positions are regained after a few weeks. A strong and lasting loss of your SEO positions and a significant drop in your traffic may be a sign that your migration has not been done properly. 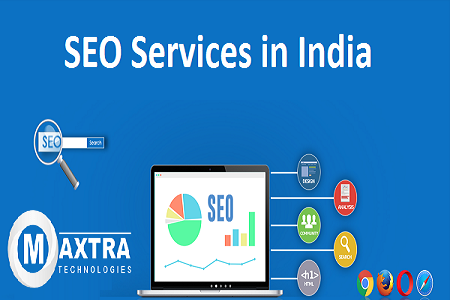 Maxtra is one of the best SEO Company in Noida to help you with complete redesigning without losing SEO positions.